Karen Brown works hard to make her own way in New York, present day, alternate reality, but when her life is threatened after a kidnapping attempt, she must make a decision to stay and be eliminated by a brutal government enforcer, or renounce her citizenship and flee to the land where her mother was born, Roma Nova. I really enjoyed this novel with its great characters and fast-moving, action filled plot. I was especially intrigued by its alternate world where the European country Roma Nova exists, a neutral but powerful nation founded sixteen centuries ago by Roman exiles. It is a nation run by women and it is here that the few remaining members of Karen’s family reside. 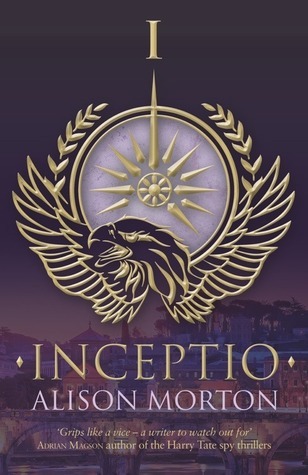 Alison Morton has given a real ancient Roman feel to this novel, portraying a world where Latin is still spoken and the land is ruled by the twelve families descended from Roman times. The setting is fully developed and totally believable. Roma Nova seems a wonderful, if very different, place to live and Karen does have to adjust to a totally new way of life. But her grandmother is a very sympathetic person, as well as one of the leading figures of this small nation. Karen is threatened again by Renschman and she then develops her own inner strengths, taking on a new career, and finding some unique friends along the way. These supporting characters are both interesting and complex, adding another layer of richness to the story. The pacing is excellent with never a dull moment as Karen moves from one adventure to another, learning and growing as she encounters past secrets and present day realities. Lovers of mystery and suspense as well as lovers of books about alternate realities are sure to enjoy Inceptio. It is a complex and exciting novel with an incredibly rich setting.